Come along with me and make your own very special memories – what could be better than discovering the beauty of a tropical country than in January. Perfectly timed to give you a bit of a respite from the winter wonderland where instead of snow and cold weather you will be strolling through rose fields, orchid glasshouses and tropical gardens filled to overflowing with Ginger, Heliconia and so much more! It has been a few years since I last did this tour and the time is now…. Like a bud slowly and gently unfolding, discover each treasure one by one and find out why Ecuador’s unique flower landscape has propelled it into its enviable position as one of the world’s most important flower producers and exporters. Horticultural magazines now classify the country of Ecuador as a “hidden jewel” and a “must see” due to its spectacular climatic diversity, creating wholly different growing seasons and microclimates. This truly incredible experience offers an opportunity to learn the most modern floricultural techniques being practiced, including visits to plantations and areas where others seldom are granted a visit. We will visit, on this tour, three very different and very distinctive cities each offering different climatic zones and growing conditions and of course plant material. Please Note this tour arrives in Quito, Ecuador and departs Guayaquil, Ecuador. Alameda to rest and relax until our tour begins tomorrow. Situated in an Andean valley at 2,850 m above sea level at the foot of Volcano Pichincha, Quito is a modern city with a living history and one of Latin America’s most historically important cities. Quito was the first city in the world to be declared a Cultural Heritage of Humanity site by UNESCO in 1978. Noteworthy for its architectural beauty, Quito is home to numerous churches and convents built in the colonial period. The Metropolitan Cathedral, located in Independence Plaza, is one of the city’s most impressive historical and architectural sites. Others worthy of mention are the following cathedrals and historical sites: San Francisco, la Compañía de Jesús, San Agustín, Santo Domingo, El Sagrario, La Merced, Carmen Bajo, San Sebastian, Santa Barbara, and San Blas. A large part of their interiors, especially the altars and pulpits, are gilded in gold and house innumerable works of religious art. Some of their museums hold valuable collections of paintings and sculptures belonging to the artistic genre are pure examples of the ‘Baroque school of Quito’. In Quito’s historical center, with its steep, narrow, cobblestone streets, the artistic and architectural influence of Spain can be seen in the general architectural style of the brightly painted homes, their balconies, their tiled roofs, and their interior patios. Another colonial area, outside the of Old Town, is the suburb Guápulo. Perched on the eastern slopes of the city, Guapalo’s most impressive sight is its famous sanctuary to the Virgin of Guápulo, the oldest sanctuary of its kind in the country. Pakakuna Gardens is situated at a lower elevation to Quito with a considerably warmer climate. Pakakuna Gardens are considered South America’s largest, private gardens, owned by Klaus Egger, the creator of the garden who will be leading us around. The gardens have more than 500 species of plants and flowers from all over the world and thanks to the excellent climate; they are in bloom almost all the time. Pakakuna is a Quechua word (indigenous language of Ecuador), meaning “Our Hiding Place.” This describes perfectly the picturesque and tranquil nature of the site. Its temperature varies, throughout the year, between 27°C (80°F) during the day and 12°C (54°F) at night. Pakakuna is located in Checa, in the Tumbaco valley. This vision was created as part of an environmentally sound and spectacular landscape concept. A unique space has been reserved for the cultivation and care of a vast variety of bromeliads and native orchids. Some are native while others were brought from all corners of the world. All of them have adapted easily and harmoniously to this magical place. Pakakuna Gardens sets new standards for the protection and conservation of the environment. Quito is considered one of Latin America’s most charming cities and we start our city tour with an early morning visit to Quito’s beautiful Botanical Gardens. Our guided walk will introduce us to the large orchid collection – More than 1200 species of orchids and a number of hybrids are exhibited in the ‘Crystal Palace’ greenhouses. One holds altitude and the other holds tropical and the variety of these is exquisite -and many other varieties and plant species from the Ecuadorian Coast, Amazon Rainforest, the Andes (including ‘Espeletia schultzii’ from the high regions of the northern Andes) and other parts of the world. 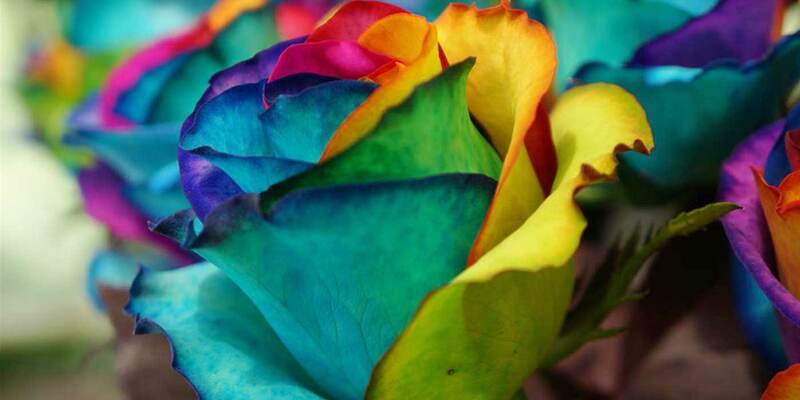 This will give you a wonderful overview of the richness and diversity of the flora in Ecuador. The garden includes plants that have adapted to the harsh climate of the high Andes, as well as tropical plants that are bountiful in the lush cloud and rain forests. The garden includes representations of the following ecosystems: the moorlands or paramos of the high Andes, the cloud forest, the dry forest, the damps of the highlands, Inca garden, bromeliad garden, palm garden, and orchid displays. More than 1,200 orchid species and a number of hybrids are exhibited in “Crystal Palaces” inside the botanical garden. These palaces occupy an area of 800 square meters. One palace holds altitude orchids and the other tropical species. In Ecuador, one of each four plant species is an orchid. I can tell you that there were many in our group that were very surprised at the plant material here. These greenhouses are incredible! and should not be missed. I have seen many orchids over the years but in these greenhouses there were orchids that will take your breath away. -In one hectare of the Ecuadorian tropical rain forest there are more than 350 plant species, a true world record! Ecuador holds approximately 17,000 plant species, more than the whole European continent. The medicine that has saved the most lives in the world was discovered in an Ecuadorian plant, the “cascarilla”. Then you visit Quito’s colonial old town where you walk on cobble-stoned streets lined with moorish and baroque architecture and visit the most important plazas, monasteries and churches. Quito’s spectacular old town extends over 320 hectares – the largest historic center in the Americas. Host to 40 churches and chapels, 16 convents and monasteries with their respective cloisters, 17 plazas, 12 chapter rooms and refectories, 12 museums and countless courtyards. Fingers crossed we get to visit The Church of the Society of Jesus or Basilica de la Conpania de Jesus – a monument to the Jesuits who built it between 1605 and 1765 and really isn’t totally completed yet. It is covered in 23 karat gold….everywhere….every centimeter! We were not allowed to take any photos while inside and it is just so hard to describe it, you just have to see it for yourself. The central nave is topped by a 26 meter high continuous barrel vault and decorated in gold leaf. The main golden altarpiece built in 1745 is topped by an octagonal dome in intense reds, golds and blues over a sky background. There is precious artwork here too as well as angel faces, fruit crowns, grape clusters and more. This is one truly ‘take your breath away’ church. Quito’s historical heritage is only equaled by the energy and vibrancy of its residents. We will enjoy lunch in a typical restaurant. Then we cross the Equator Line at the “Middle of the World” about 20km north of Quito. You can literally stand with one foot on each side of the equator. The Intiñan Museum is located on the Equator-Line where you are invited to do various “Equator experiments” which are always fun to do. We leave Quito to the north and drive on the Pan-American Highway to Cayambe. 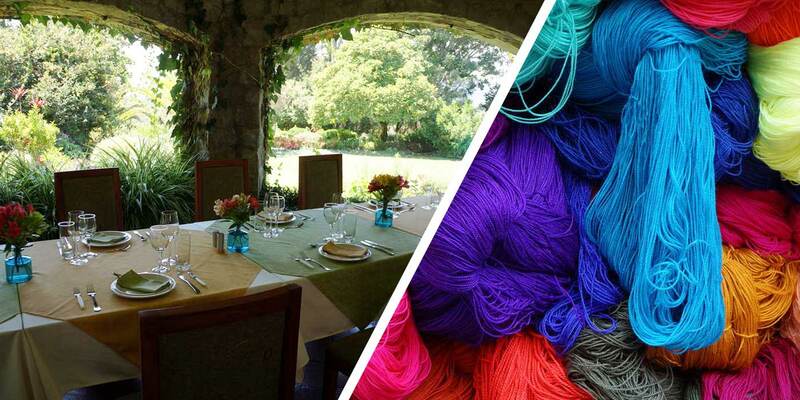 We visit the Hacienda La Compañía, a beautiful property which is part of the Rosadex Rose Farm. At the farm, you see the process of rose growing for export. The name of this hacienda is LA COMPAÑÍA DE JESÚS because it belonged to the Jesuit order when they were established in Ecuador 300 years ago. In 1767, when King Charles III expelled them from Spain and all their colonies, they had to leave. This Hacienda has been in the Jarrin Family for 5 generations and is still a family home and French Neoclassic The Chapel, built by the Jesuit order as well. a memory to share with you…. -Cayambe is the center of milk producers and the fields were not only filled with vegetable gardens and rose plantations but cows. It is a beautiful area of the country, full of hills and valleys and little farms set on those hillsides with neat gardens full of life. We see many Otavalo Indians busy at work, and it is hard work on these hills. We see an old woman hunched over as she is carrying a huge pile of wood – perhaps firewood – on her back along the side of the road. We see the sides of the roads full of wildflowers in purple, blue and white. From Puerto Lago is it a short drive to Otavalo where we visit Ecuador’s largest indigenous market. There are about six communities or villages that bring their wares to sell and each one makes something different. They have learned to work together rather than competing. So many stalls here with all manner of gifts to buy and after you were finished looking at stalls of sweaters woven in brightly coloured yarns, gloves, scarves, wall hangings, table cloths, jewelry, pants, embroidered shirts, bags, packs, and then all the small stuff, you could also visit the fresh fruit and vegetable part of the market. It’s a great place to pick up bargains and to find little things to take home to your friends and family. Just about all of the goods here are hand made and unique to Ecuador. With excellent prices I might add. There were many ladies cooking and selling foods too and the smells of these foods were so delicious. The province of Imbabura is located in northern Ecuador, a picturesque land of lakes, majestic sierras and terraced farmlands and is home to the Otavalo Indians, industrious and enterprising people, who offer their products at the famous outdoor market. The textile industry was established in 1540 and became home to textile haciendas where the Indians, under Spanish control, would weave up to 200,000 yards of fabric a year. That was traded locally or in Peru or Potosi. What started out as a challenge for them has turned into a sustaining ability to earn a living to this day. We have lunch at the colonial Hacienda Pinsaqui before we visit the small town of Cotacachi which is famous for its leather goods. In the afternoon, we go to the Quito airport to take the flight to Cuenca. In Cuenca we transfer to the Hotel El Dorado where we stay overnight. Day 6: Monday, 28 Jan: Ecuagenera – It’s All About the Orchids! 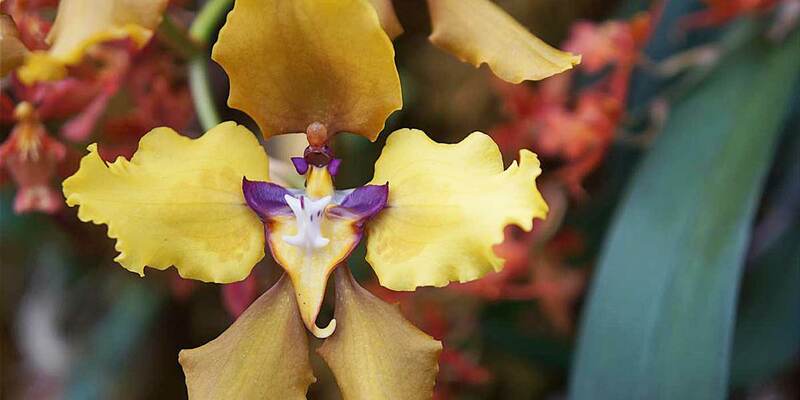 We visit South America’s largest producer of Orchids located outside of Cuenca. At Ecuagenera the owner, Pepe Portilla will welcome you and give you a short introduction about Orchid growing and care before you are invited to a guided tour of the plantation. You will see orchids that are still hidden away by the owner/breeder as they are not ready for market yet. There are many photo opportunities here. During the walk through the plantation you will be amazed at the variety and sizes of orchid flowers – from the smallest to the largest orchids – some so tiny and fragile you have to observe them with a loupe. You wonder why orchids might cost a lot? Each crossing takes about 5 years and to see the flower add another 3 years to that. We may even get into an area that has very special orchids..what a treat that was! We were all in orchid overdrive here…Ecuagenera was launched 50 years ago with the arrival of Father Angel Andreetta. As a result of his work, in 1968 it was possible for Ecuador to participate for the first time in a world exposition of orchids in Columbia. Wanting his work to continue, Andreetta found help from a young man who demonstrated a real love for nature, Mario Portilla, who would become his main ally for many years. Ecuagenera also established and manages the Liceo Particular Bilingüe Nuevo Mundo (New World Institute), a private school near the nursery. Many of the students at the Liceo work at the orchid operation and not only get hands-on experience with the principles of horticulture, botany, biology, and the value of honest work, but also earn a wage or reinvest in their tuition. The students who come from families with limited resources receive scholarships. Classes range from pre-school through college (high school) in 21 classrooms, each with a capacity for 30 students; the curriculum consists of science, math, the arts, history, politics, family economics, health and athletics, and language. The Liceo also boasts state-of-the-art audiovisual equipment for the language labs, a computer for each student in the computer lab, even a licensed dietician who manages the kitchen and cafeteria. Full-year scholarships cost $940 and cover tuition, books, uniform, and lunch. -one out of five plants in Ecuador is an orchid; so far 4,200 species have been identified and 43% of these are endemic. Ecuador is the country with the largest diversity of orchids in the world and many are endangered. -on our drive through the Cajas Mountains we learned about bananas, a huge crop here in Ecuador. Banana Bonita is the largest producer, followed by Dole. They even have their own banana ports to get them ready for shipment in those huge containers which are specially made for shipping bananas. Machala is the banana city of Ecuador. To put this into perspective. Each box is 22-25 kilos and the size of each box is 8” x 20” x 13”. Each banana has to be 10” in length. There are 228,297,363 boxes shipped each year. The Baltic States take the most bananas, then Russia, then U.S.A. followed by Mediterranean countries, Middle East, Europe and East Africa. Banana plants are planted with Cacao under them too. -this country is the second in the world in bird variety, with a total of 1,616 species, (17.9% of the worlds species) of which 52 are endemic. 132 species of hummingbirds that totals 37% of the species in the world. I have brought tour groups on this tour three times now and no one has had any adverse effects with high altitude… if you are concerned, please consult with your Doctor. There is not a whole lot of walking on this tour – we do visit gardens though so be prepared with good walking shoes. • International Airfare, insurance, drinks with meals and meals unless noted, items of a personal nature and extra hotel charges. See Highlights Box for all inclusions on this tour. Note – Minimum of 10 tour registrants required for this tour to run, so do not book your air until you have heard from us that the tour is confirmed. If Carlson Wagonlit Travel is booking you as an air/land package then they will look after this for you. Tour is subject to changes in itinerary.